Sturdy construction made with 5/4″ quartersawn white oak. The stool is made with true thru mortise and tenon joints at a 5 degree taper. Ebony pegs detailing hold the tenon and complete the design. 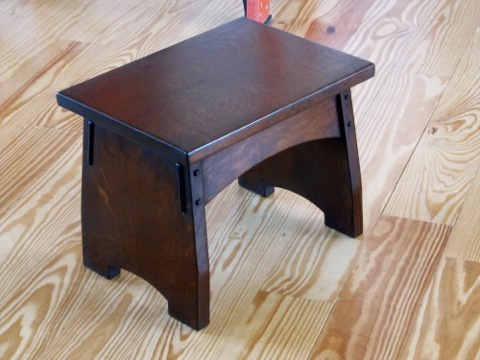 This stool is 12″ x 12″ x 16″. Custom sizes are available.